Can you believe that my nine year old son made these ornaments?! They were such a fun activity for the two of us to work on one night and I think they turned out great. 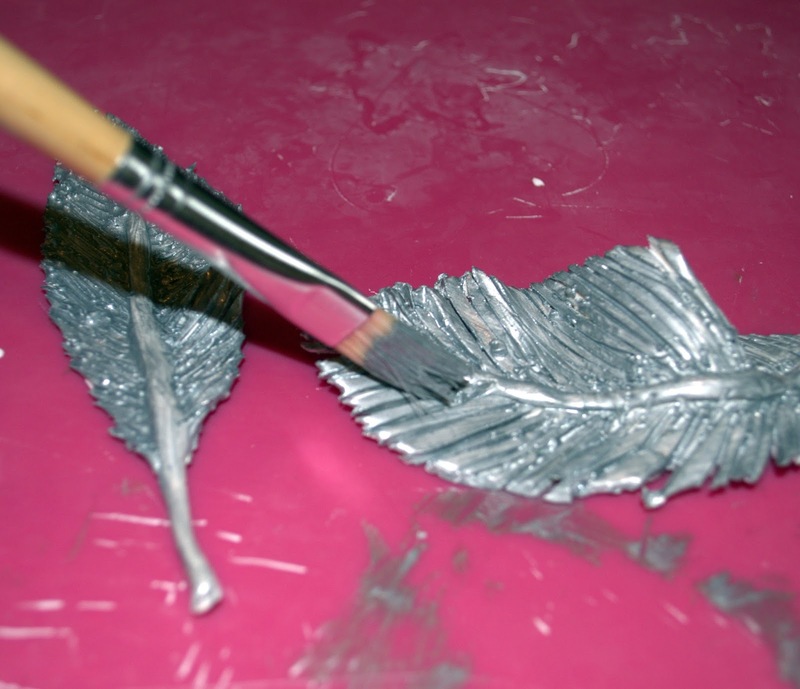 Start by taking a small bouncy ball sized piece of your sculpey clay and working it with your hands. It's very stiff so just stick with it. 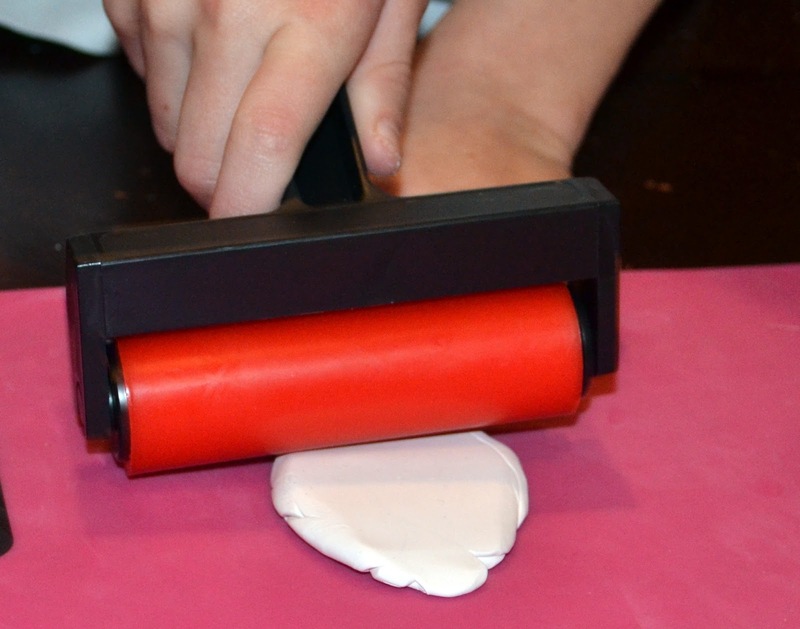 Once it becomes more easily manipulated, you can use your brayer or rolling pin to roll your clay out flat. 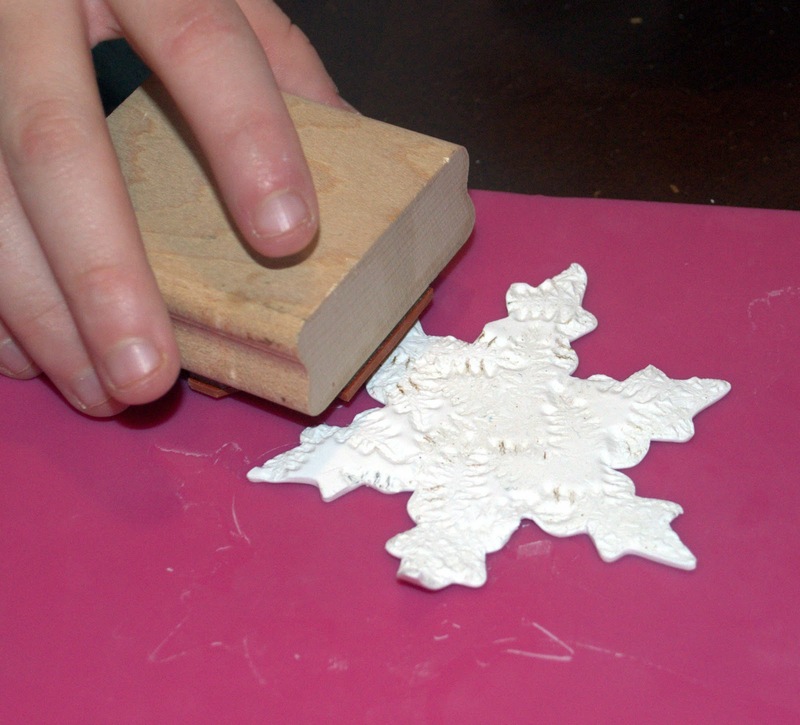 You will want to roll it to about a quarter of an inch thick if you are stamping it and an eighth of an inch thick if you are just going to use the cookie cutter. 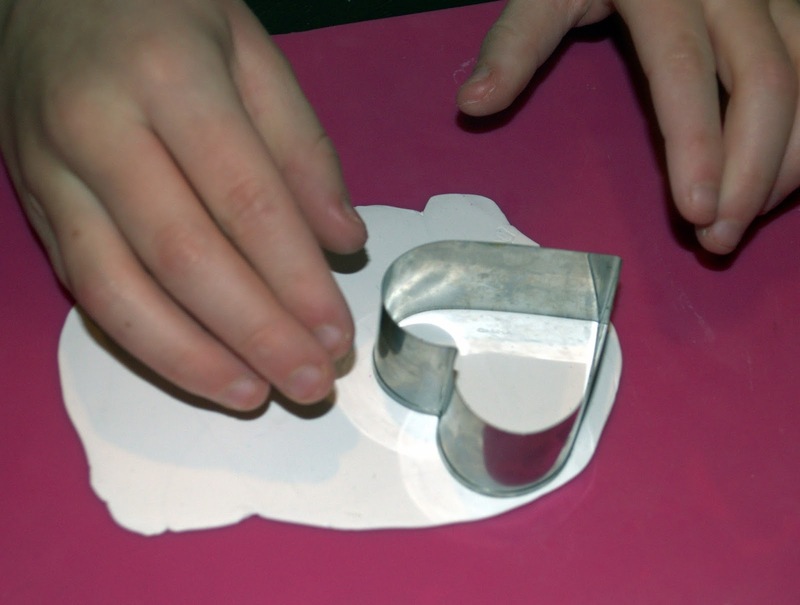 Use your cookie cutter to cut out your shape. 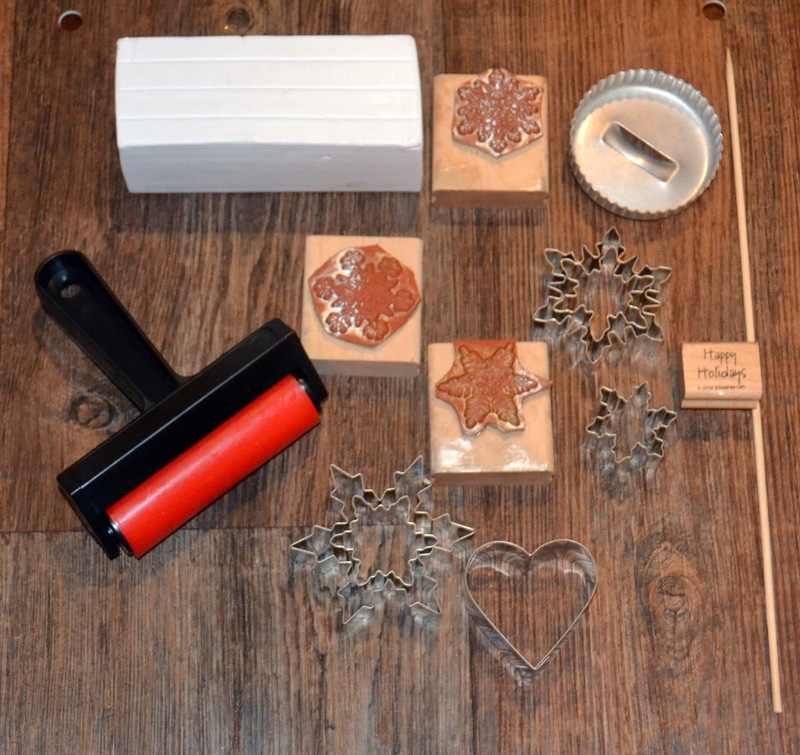 If you would like, you can also use your stamp to make designs in the clay. 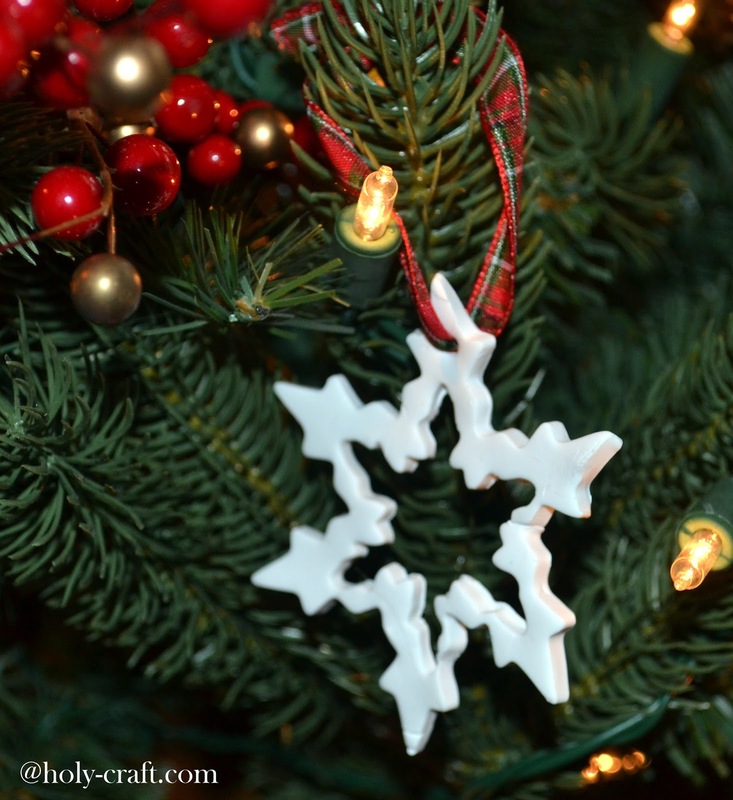 Poke a hole in your ornament with your skewer and bake according to the package directions. 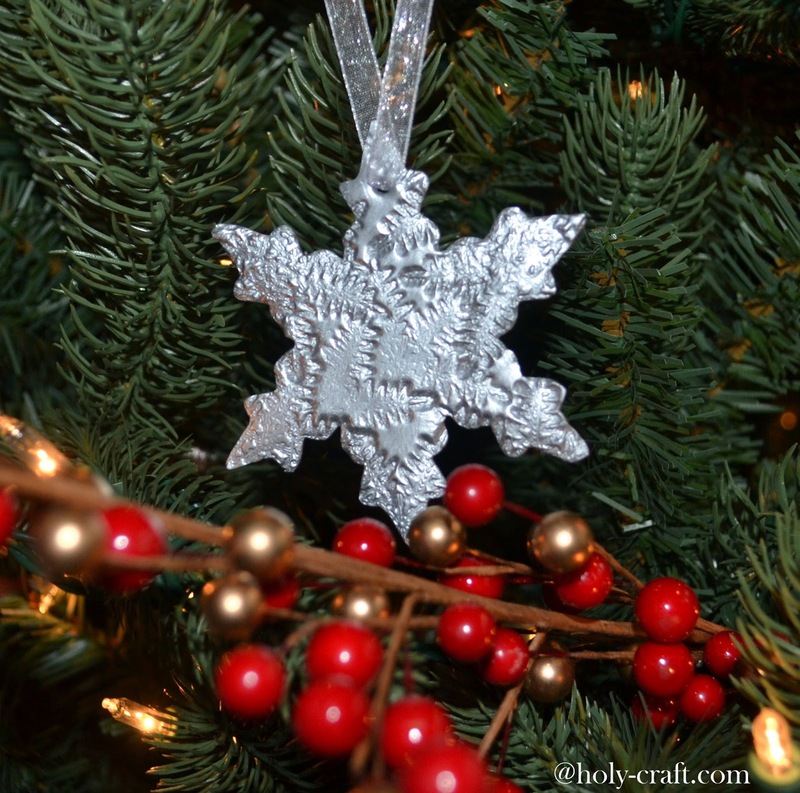 Once your ornament is cooled, you can paint it if you want, or leave it white. Place a ribbon as a hanger and stand back and admire your new creations! 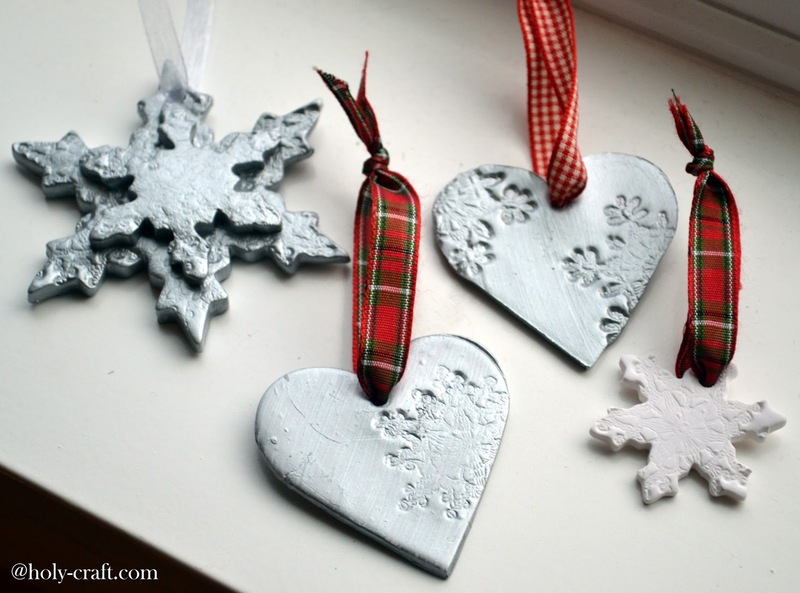 These would make simple gifts for your kids to make or for a group craft project.